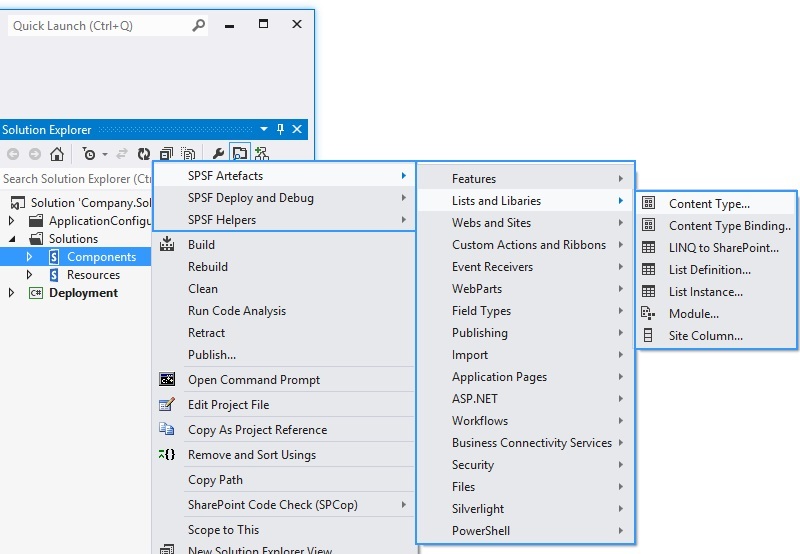 SPSF provides a huge collection of helpful recipes for development, debugging and deployment of SharePoint standard artifacts and is fully compatible with SharePoint 2007/2010/2013 and Visual Studio 2008/2010/2012/2013. This version only supports Visual Studio 2012. 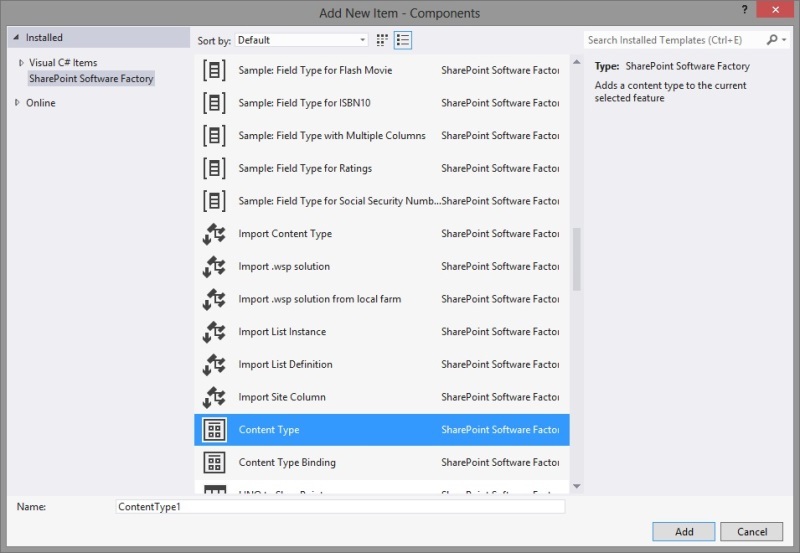 For Visual Studio 2013 download from here. For Visual Studio 2008/2010 please download the previous version. 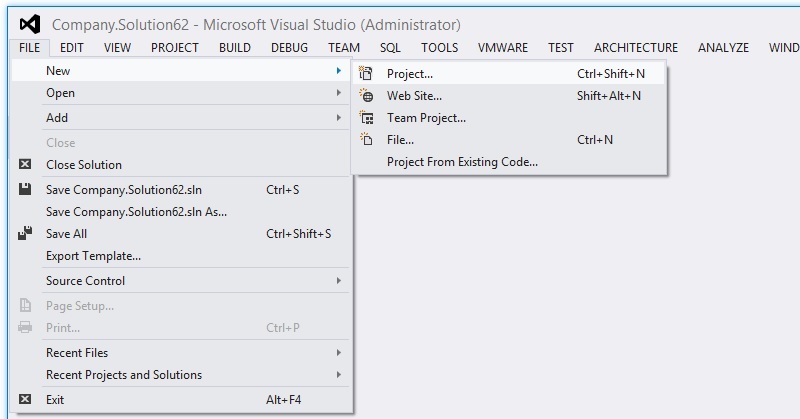 Start Visual Studio 2012 and click "File -> New -> Project" to create a new Visual Studio project. 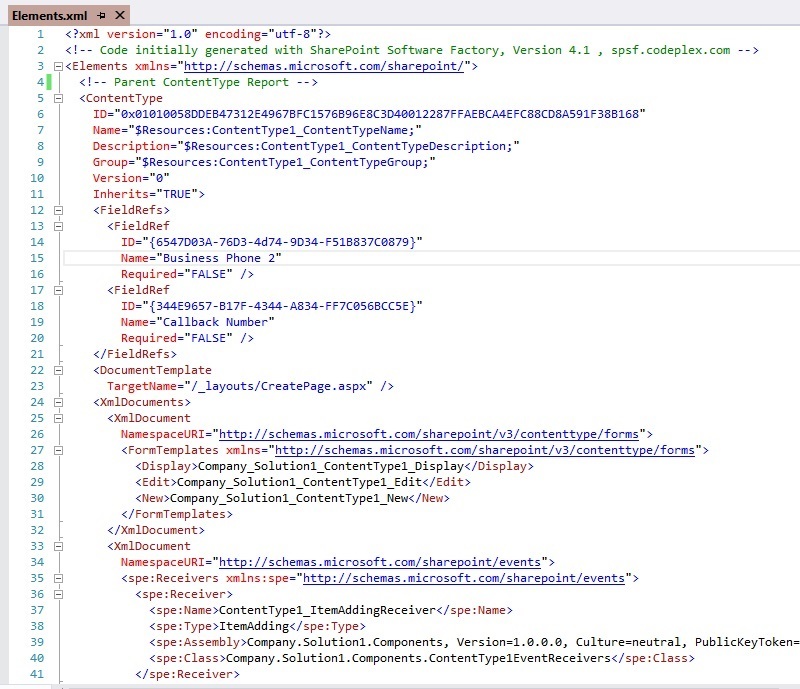 In the new project dialog in the section "Guidance Packages -> SharePoint SoftwareFactory" choose the desired project template e.g. 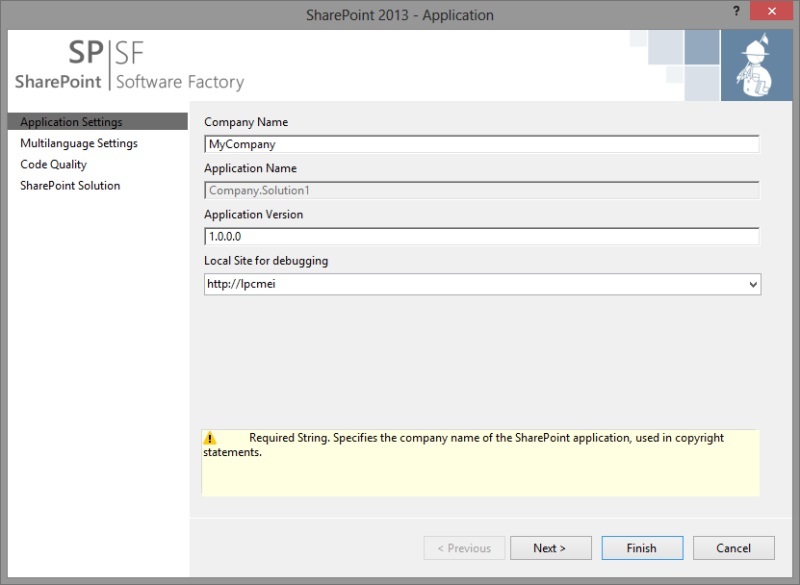 "SharePoint 2013 - Application". Click "OK" and the SPSF project wizard will open. Most SPSF recipes are displayed in context menus depending on the current selection. 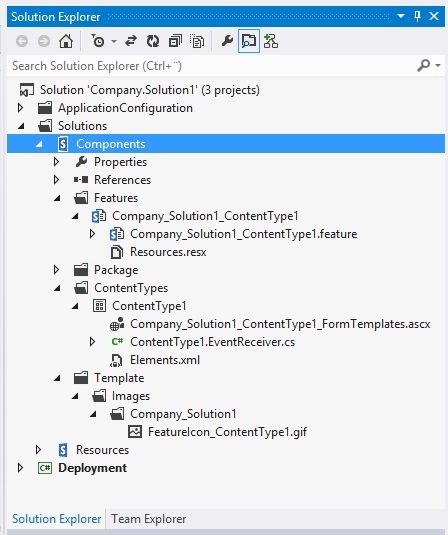 For instance the recipe "Content Type" is only displayed on projects which will create a .wsp solution. Some files and folders have also additional recpies to refactor artefacts, e.g. a feature has a recipe to add feature dependencies. Alternatively you can use the "Add -> New Item..." (Ctrl+Shift+A) dialog to run the SPSF recipes. 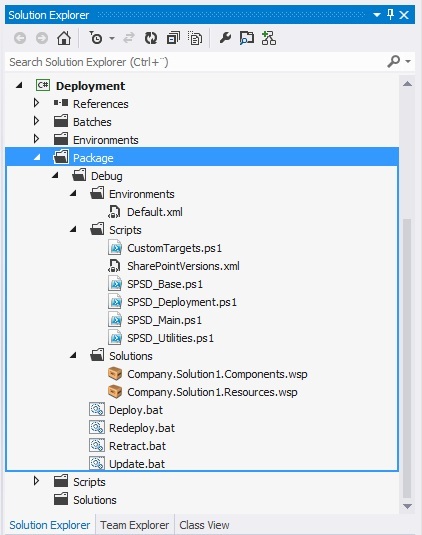 Whenever you require a deployment package which contains all WSP files or if the solution should be deployed to a different farm, you can build the "Deployment" project which collects all solutions, deployment configurations and the necessary PowerShell scripts. Matthias works as team lead of a SharePoint consulting team. He focuses on SharePoint solution architecture, development, application lifecycle management with Team Foundation Server and in general on improving the quality of custom SharePoint solutions. Torsten has a passion for high quality SharePoint Code. 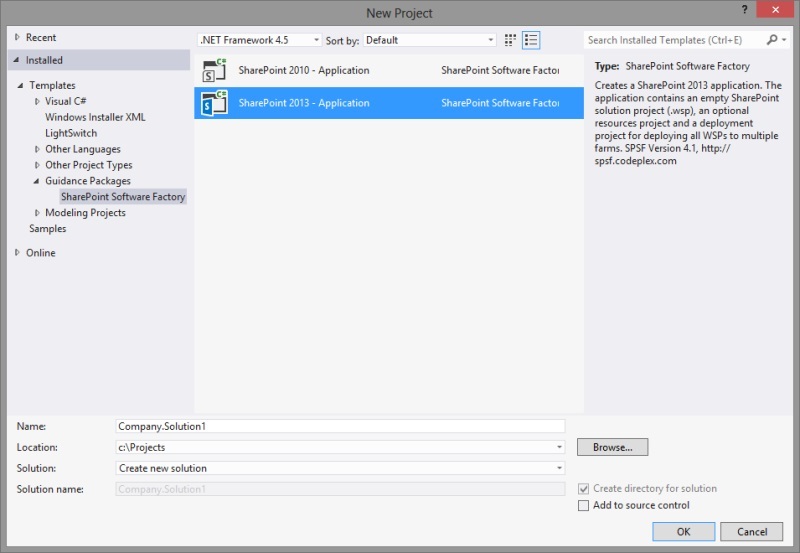 Starting withSPSF SharePoint Software Factory to make SharePoint development easier and more reusable he now focuses on automizing code quality analysis of SharePoint solutions.